How would you rate your experience with At Home ? 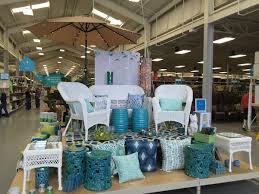 Founded in 1979 in Schertz, Texas, the original name of the company was Garden Ridge Pottery. This was later changed to Garden Ridge. The company operates a chain of big box type furniture and home decor stores which offer rugs, lamps, chairs, patio furniture, housewares, textiles, wall art, and holiday decor. After filing for bankruptcy in 2014, the company was acquired by AEA Investors in 2011. In 2014, the company decided on a major overhaul and changed not only the orange color theme of Garden Ridge to grey but renamed all locations to At Home. There are currently 150 locations in 34 states, as well as a large eCommerce site, as of September 2018. The company has made a substantial investment in inventory that appears to be paying off, with profits soaring into the double-digit range in 2018. At Home went public on the NASDAQ in early 2016 under the ticker symbol: HOME. Headquarters for the company remain in Plano, Texas. Question 1: What is the phone number for At Home? Answer 1: The phone number for At Home is (281) 578-2334. Question 2: Who is the CEO of At Home? Answer 2: The CEO of At Home is Lewis L. Bird III. Question 3: Who founded At Home? Answer 3: At Home was founded by Eric White in 1979. This store is worse than a junk yard. The merchandise is just thrown on shelves and is just laying on the floor. The prices they have are ridiculous for the quality of merchandise that you have to dig through. i would always love go shopping at home i mean could just spend the whole day looking around even if i didnt bought anything. Then my daughter started working there and she told that there are lots of rats and it is true cause i personally saw one myself the other day when i was going inside the store that was the first thing i saw. That is very disgusting and since that day i do not want to step a foot in that nasty store. I personally think corporate needs to take more precautions. this passed weekend I was excited to bring my aunt with me to show her the new store. During my visit I lost my wallet, it was either stolen or dropped. I immediately told the sales person and asked for security. I was advised that there is no security in the store. They have cameras but no security people that I could speak with. I then asked them to call the police so I can report the wallet missing, and was told much to my surprise that they cannot call the police department from the store phones. That being said I am not sure if I will return to the store with the knowledge that in the event of an emergency or theft there is no security and that the employees cannot get help. This is very bad for business and for your employees. I’ve visited the store in Ridgeland, Ms and I must say it is horrible. I’ve asked employees is the store going out of business and the reply was no. There should be something done about that store the rugs are a disaster you can’t even find anything. I heard the management is poor and that their only there getting hours not worrying about the look of the store. I visited the store back in June and it was nicely put together, but now it’s a MESS I’d rather not even visit that location again. You can barely even find someone in the store to help find anything!! The store in Fenton Missouri is by far the worst. The managers treat their employees horribly, even in front of customers. I went to your store in El Paso Texas to buy a base for my umbrella. Your store is 3 mile from my house but the traffic/ contruction makes it longer to arrive. Only one cashier working and a line to pay. I bought a 25 lb base along with other items. I arrive home and opened the sealed box and then found out that it only had the base and no neck or scews just the base. I hauled it back to the store and when i arrived i let the employee know that it was incomplete she sai i could go get another one and i said no you can get a emplyee to grab me another one open the box and make sure its complete becausebi was inconvenienced to come back and that was not right. She called and i asked for a supervisor as well. She came up not identifying herself or with a sincere apology for my inconvenience herbonly excuse is that it must have been a return. My question was should you not check before you restock a returned so this doesnt happen ? No answer her name was Alejandra not a very good customer service person no care no personality i left there very unhappy i would had thought she would had offered a 20% coupon for next visit for inconvenience “NOPE” your staff has no care for anyone your store should be more customer friendly i did yell them i would call corporate she said nobody is there you can call tomorrow. . THE STORE LOCATION IS IN MERRILLVILLE IND. ON RT. 30. THE CLERK’S NAME IS ASHUNDA. SHE WAS VERY NASTY AND RUDE.SHE SAW THAT I HAD BEEN CAUGHT IN A BAD STORM AND HAD ALSO LOCKED MY KEYS IN THE CAR WHILE IT WAS RUNNING,. SHE WAS UNSYMPATHETIC AND MADE ME WAIT IN LINE SOAKING WET WHILE SHE WAITED ON PEOPLE WHO WERE NOT NEXT IN LINE EVEN THOUGH THEY STATED THAT I COULD GO FIRST AND WERE NOT NEXT. I HAD INTENDED TO MAKE A LARGER PURCHASE THAN THE ONE I WAS RETURNING UNTIL I WAS TREATED SO DISRESPECTFUL BY ASHUNDRA. MANY STORES ARE CLOSING BECAUSE OF MANY FACTORS BUT THIS POOR CUSTOMER SERVICE PRACTICE IS ONE OF THE MAIN ONE. 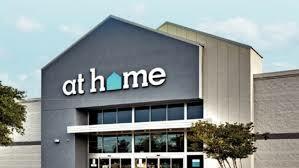 I WILL RETURN MY BUSINESS TO ATHOME IF I AM INFORMED OF A POSITIVE CHANGE IN ASHUNDRA AND ANY ATHOME STAFF. Your employees stole my money and I want it back!! Yesterday, 6/1/2018 at 15:21 it returned a patio umbrella to your store in Douglasville, Ga. The clerk suggested that since I wanted an even exchange I get a gift receipt and go back and retrieve another umbrella. There were only two other customers in the entire store and no one in the line. It took me no more than five minutes to get another umbrella. When I came back the register the clerk said he had given me gift card along with the receipt. I had a paper receipt but after looking in my purse for about ten minutes I realized I did not have a gift card nor did I remember ever seeing one. I asked that he just go into the system to search for the gift card number so that I could redeem it. He told me he needed managerial permission to make such a transaction. When the manager arrived, Vera (no last name), she informed me that I would need to contact corporate for such a request. I was astounded and very angry. She would not even attempt to retrieve my card number even though no transactions had been made in the interim, nor would she make the phone call she instructed me to make. She did not offer me a phone number for corporate and insisted that corporate was closed since they were on CDT (it was 3:21 EST). Dummy didn’t even know that’s an hour earlier that EST. First of all I would like a return of my $42.39 as well as $25 for the inconvenience of driving to this store two times. Next I suggest that Vera be fired for incompetence or be retrained. Any manager who cannot reverse a transaction that is merely five minutes old should not be working in retail. I am reporting this action to the BBB as well. If I am not refunded within the next five days I will take this to small claims court which will cost us all more money and time! I am a very very loyal customer that go back to the Garden Ridge days. However today I’m very upset. I went to the store in Kennesaw GA with my birthday coupon excited about purchasing the remaining piece to complete my deck furniture. There was also a 15% Off Sale. I checked all your terms and conditions regarding my birthday and sale coupons and there is “NO” written or implied indication that both coupons could not be used at the same time and/or together. When checking out, the manager informed me that the register would not allow them to apply both coupons….BUT, if I opened an credit card account I would be given another 10% off. First, how is it possible that if I have 2 coupons (one given as an incentive to sign up, i.e. birthday coupon, and the other to come in a purchase something) that they would not be honored. It is clear that there is an expiration date on both (which had not expired) but nothing that says they cannot be combined. FALSE ADVERTISING!!! Secondly, how is it possible that I can receive can an additional 10% off the purchase if I open a credit account but cannot redeem the 15% GIFT coupon. I did go ahead and purchase the item but am so profoundly disappointed. Please know the manger and cashier were very polite in explaining that the register would not allow the transaction. However, I still feel this is clearly false advertising, not to mention, unfair. I strongly suggest you look into your so-called coupons. A response from you will go a long way. No response will give me something else to consider. would someone please answer the phone……………..
Sirs, my girlfriend and I drove down to your Chantilly store and I proceeded to purchase 4 pots with saucers and a galvanized disc planter. The clerk…#689399 had a terrible time ringing up the purchases and punched in the info many times. There was needless to say a line forming behind me. He finely rung it up and I used my Americanexpress card and left the store. Why I did not check the receipt is beyond me…mainly we moved on to more shopping. Long story short, wow, I was way over charged!!!! He rang up everything several time!!! How do I go about correcting this and getting a refund? Please advise ASAP. Thank you. It was 4/7/18, 11:08, 161, 22, 3147, 689399. I can send a picture of everything and the receipt if you need it. 12/26/16 I went to your store at Little Rock AR to pick up a storage container for my Christmas Tree. After I checked out and went to my car I realized that I was charged 39.99 for the storage container but on the container it said 34.99. So I went back into the store and approached a girl who was checking out a customer, I told her I would wait until she was finished with the customer she was checking out, because I was over charged. She stated well you will have to go to the back of the line. It is not fair for you to cut in front of all these people waiting! I tried to explain that I had already been checked out and they had over charged me! She said that doesn’t matter, really I’m on my lunch hour! I went to the back of the line and also asked the next cashier to call a manager. A young man came up, I explained the situation to him he then said oh well she is manager too and we will give you your $5.00 back! REALLY THESE EMPLOYEES ARE STUPID AND NEED TO GO TO MANAGEMENT SCHOOL!! HE SIMPLY SAID IT WAS NOT THEIR FAULT THEY DON’T PUT THE BAR CODES ON THE MERCHANDISE OR THE PRICE IN THE SYSTEM! I WILL NOT GO BACK THERE FOR NOTHING!!! YOU MADE ME 20 MINS LATE FROM MY LUNCH MAKING ME GO BACK TO THE BACK OF THE LINE FOR YOUR MISTAKE. TEACH YOUR EMPLOYEE HOW TO TREAT YOUR CUSTOMERS AND ACTUALLY DO CUSTOMER SERVICE OR YOU WILL GO OUT OF BUSINESS!!! On Monday April 17th I incurred an accident at your store location at Barrett Parkway in Atlanta GA at 11.35am. I was standing by the end furniture section and it fell on my forehead. It caused injury to my forehead, my back, bruising on my left shoulder, my lip and neck. I was unable to function. I left the store and was unable to work for the next 24 hours. I had to go to my dr to ensure I had no concussion, 2 visits to the chiropractor along with 2 massage treatments. It is now April 26th and I have never heard back from your store. Failure to list a sign requesting assistance on heavy items is not acceptable and putting At Home at fault. I would appreciate a follow up to discuss damages incurred. Want to make sure At Home sees your comment or complaint?